Candy. 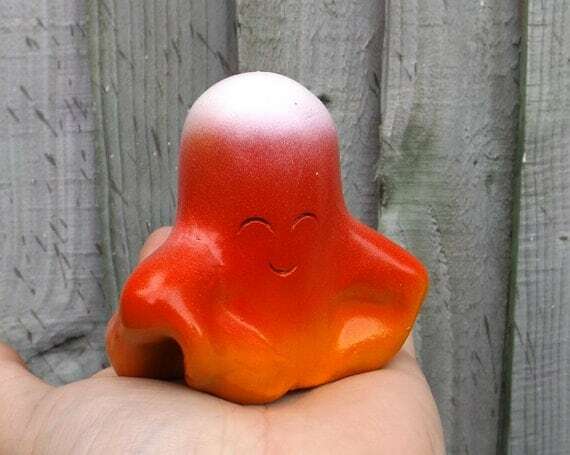 A happy go lucky ghost full of fun and adventure. Candy Corn themed just in time for autumn and Halloween. No bland sheet for this little guy! 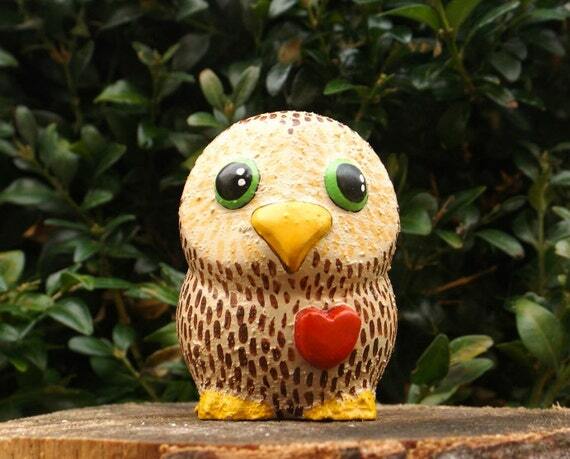 Candy is handmade using polymer clay which is then painted using acrylic paints. A gloss varnish is applied to seal the colour and to protect the finish. This item is approx: 9cm x 9cm x 8cm. The Red Rabbit. An original sculpture. 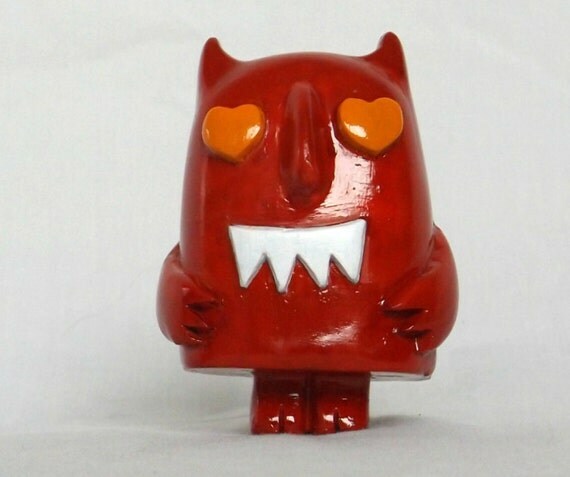 Made from Polymer Clay and painted red. Finished with multiple coats of gloss varnish for protection and to keep Red Rabbit bright and beautiful. He is 11cm/4.3" tall. Sculpted by ChompStomp and made using the Cold Cast technique using metal powders for a distinct finish and feel. These figure will age and tarnish almost like real metals. Copper will verdigris iron will show rust and wear and Bronze will dull over time. Happy Valentines Day! Listen to the devil in you and give me to someone you love or admire. 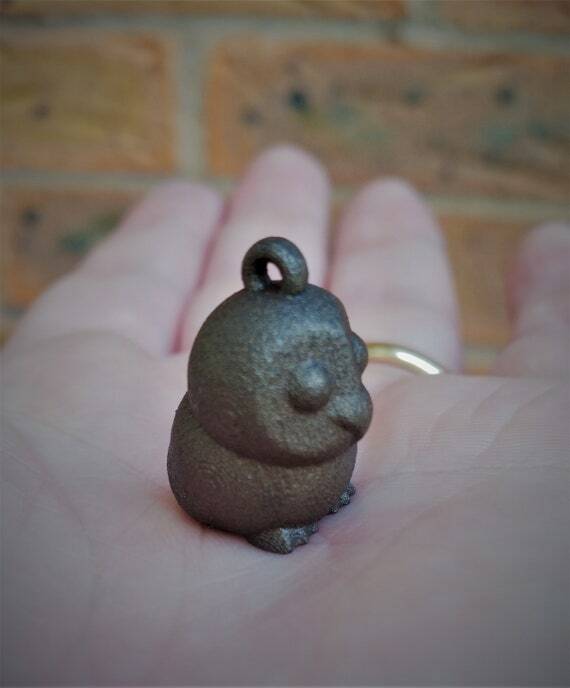 One of my characters, brought to life by sculpting then casting from a mould in high quality resin. 8cm tall this guy literally has love in his eyes. These are the first 2 of a batch of 10 that are being listed for valentines.